Been feeling reflective and meditative this entire, very holy weekend. It’s rare that I quiet my mind enough to reflect on the wonderfull-ness of my life and I have to say, it feels good to really feel it! So I will be doing this more often. In terms of food, I’ve been experimenting with cream-filled cupcakes. 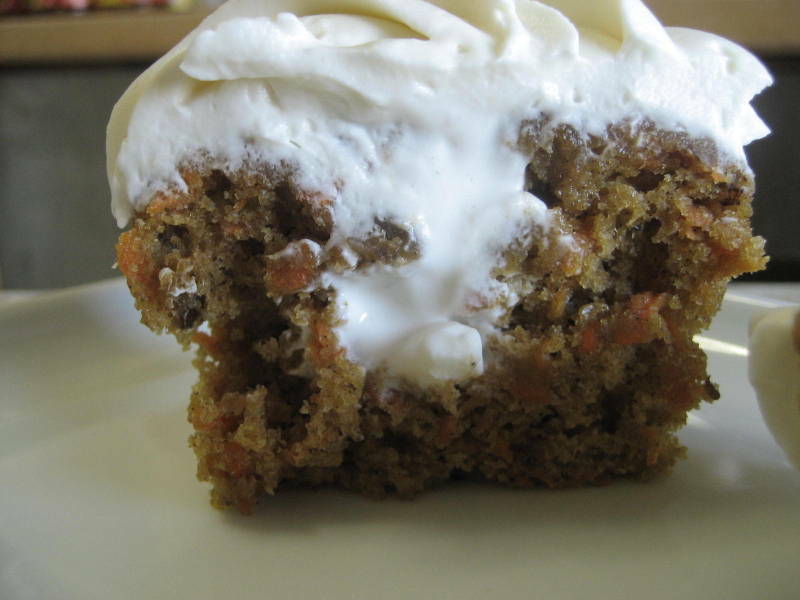 Frostings, icings, and cream fillings are not things I tackle due to their complexity, as I have written so many times. I’m seeking a creamy, high-quality flavor that would not be easy to create and I try my best to keep things as simple as possible yet, it may be time to branch out and grow. 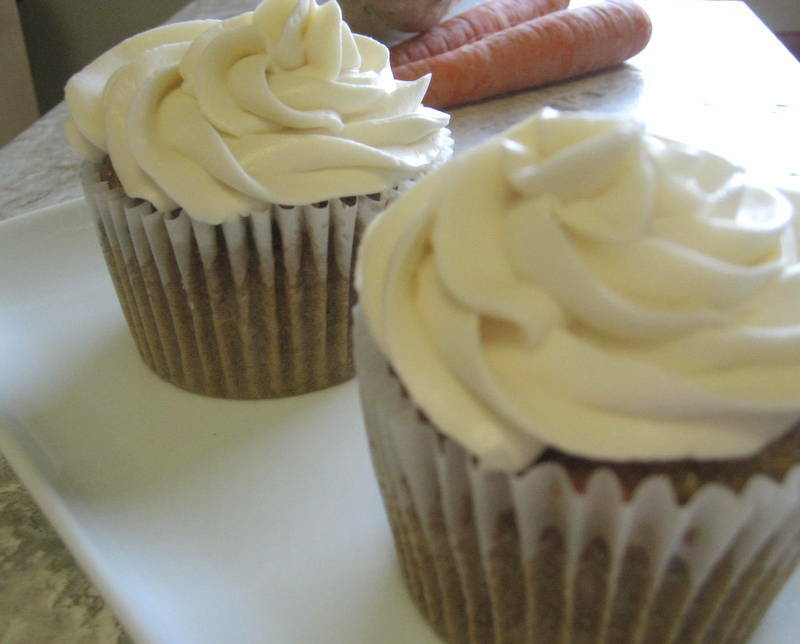 These carrot cupcakes were a big hit from colleagues at work and if you enjoy the flavors of cinnamon, spice and cream cheese frosting, the cannoli cream filling takes the flavor and texture to another level. Try these special cupcakes on this oh so special day, they will transform your holiday baking tradition. 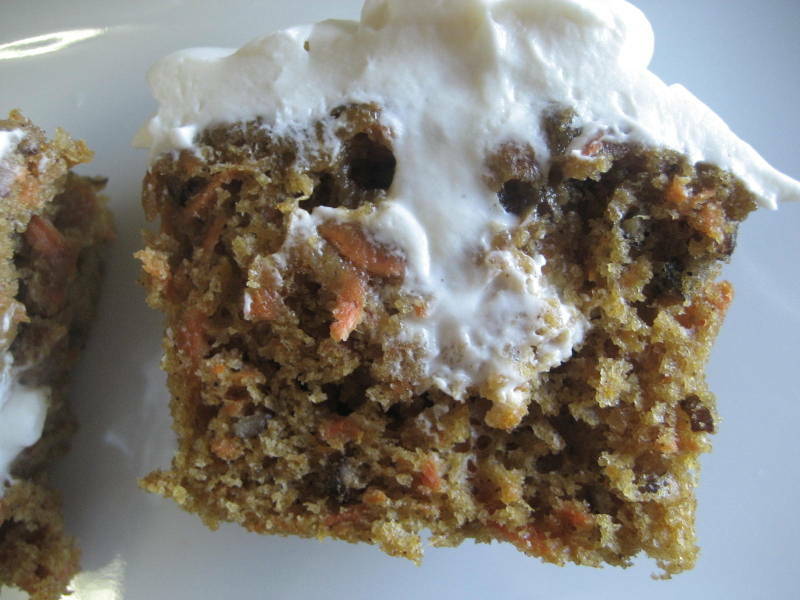 Add-ins: 3 cups of grated organic carrots, ½ cup pecan pieces (or walnuts or raisins). Process: add all dry ingredients to a large bowl; add wet ingredients to a smaller bowl and mix well; combine the wet into the dry and mix well; fold in carrots and pecans. Bake at 350 F degrees for about 20 minutes. 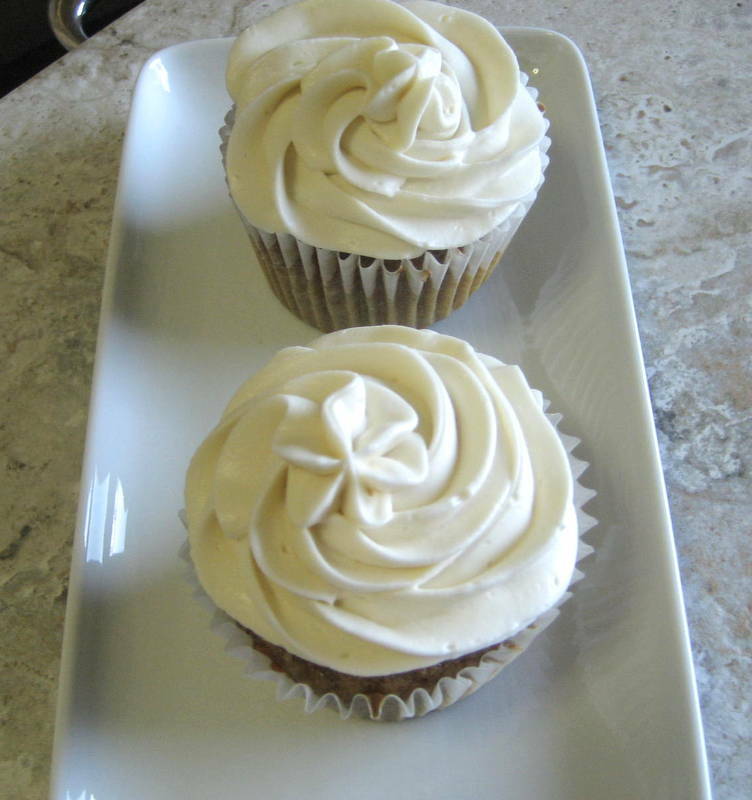 Ingredients: 1 ¼ cups ricotta cheese, 4 ounces cream cheese, ½ cup confectioners’ sugar, ½ teaspoon vanilla, ¼ teaspoon cinnamon, 1 cup of fresh whipped organic cream. Process: add all ingredients except cream, to a food processor and process until smooth; fold the whipped cream into the processed mixture. 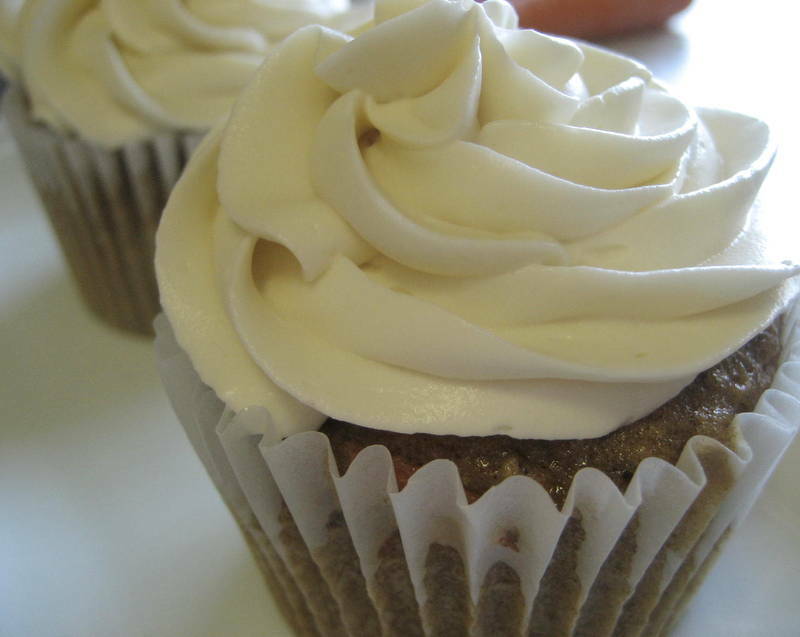 Use a long tubular piping tip and bag and insert into cooled cupcake to fill. See this video for more instruction. 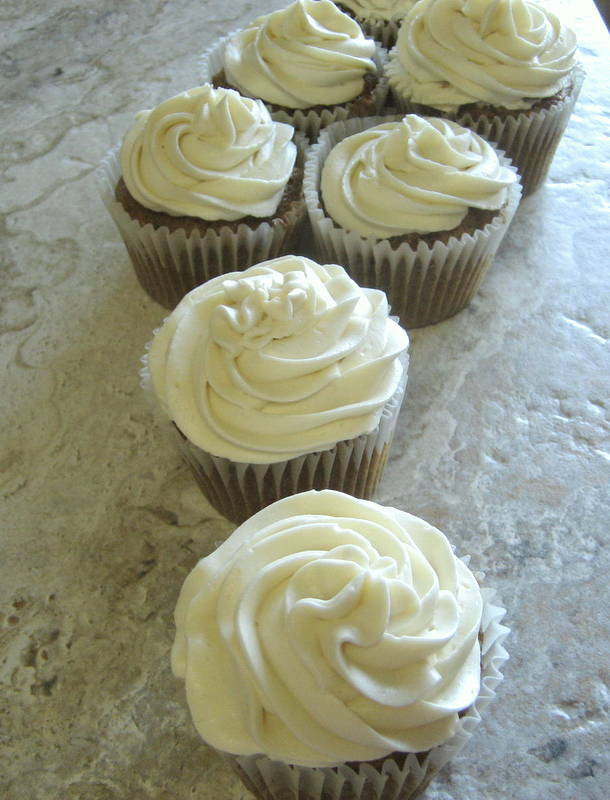 Ingredients: 4 ounces cream cheese, 4 ounces butter, 1 ¼ cup confectioners’ sugar, 1 teaspoon vanilla, 1 cup whipped organic cream. Process: mix all ingredients except the whipped cream together; fold in the whipped cream.